Mix Gemstone Tumbled Stones is a collection of different gemstones. Use them to decorate your house and reap benefits from each stone. 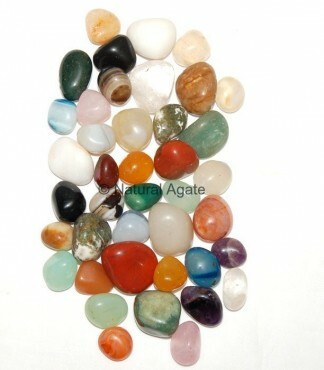 Natural Agate offers them at a reasobale price. Each stone measures 15-35mm.